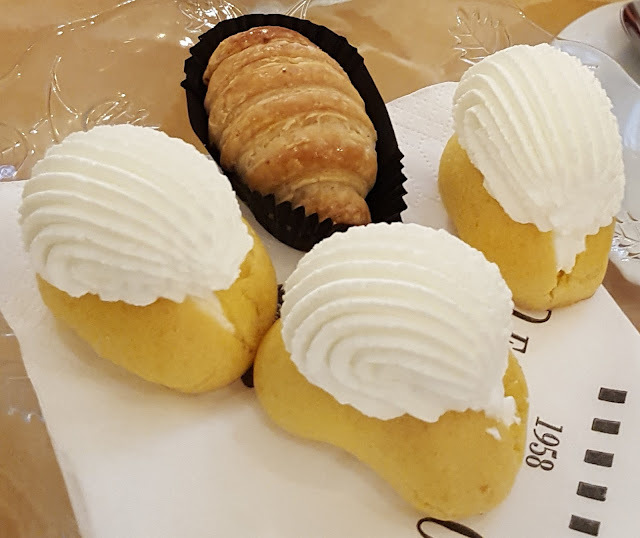 Even though pastries are common everywhere along the Italian boot, they differ in size, texture and naturally, flavors. As in Turin people are rather understated and reserved, and in general, they like their actions and products to speak louder than their words, quality vs quantity and small vs large are among the local lifestyle rules. 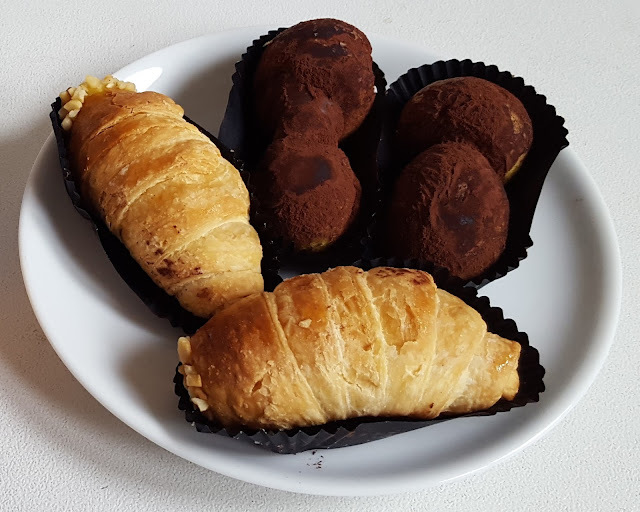 Consequently our paste or pastries are bite size, tiny and highly varied to help bridging the coffee/tea break and the aperitif time. Turinese usually get tray of pastries to carry home for their Sunday lunch or to their friends' for any celebrations. 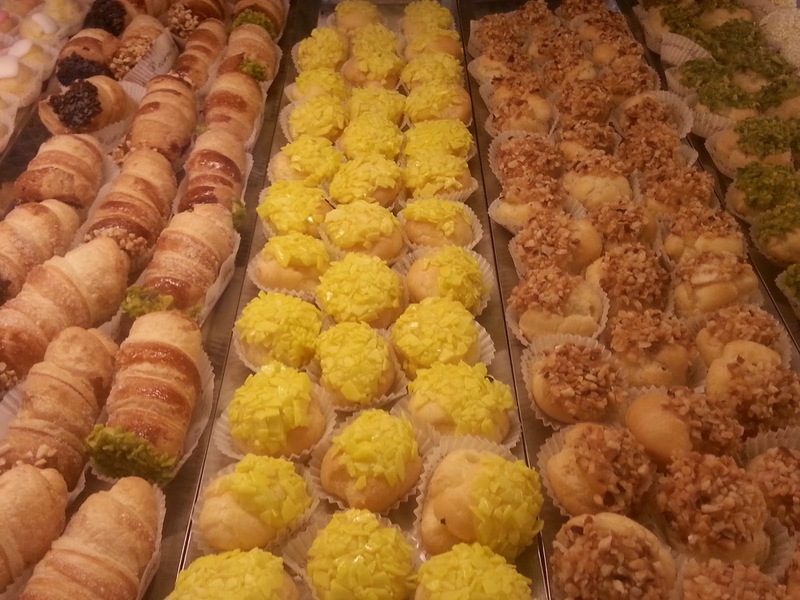 Pastries are usually bought by 100 grams or etto (100 grams = 1 etto/hg) or by pieces that will be weighted anyway. The hard part is picking the pastries! As soon as you set foot in a Turin pastry shop you will soon realize that cannoli take whole different meaning here. The less known northern Italian cannoli (aka "the real cannoli" for the Northerners...) are closer to a cream horn made with puff pastry. 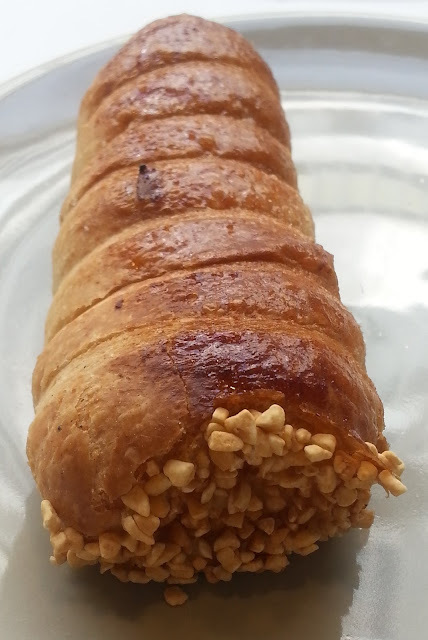 The filling is generally made of egg custard, zabajone, chocolate or pistacchio and one extremity is covered in local chopped hazelnuts. 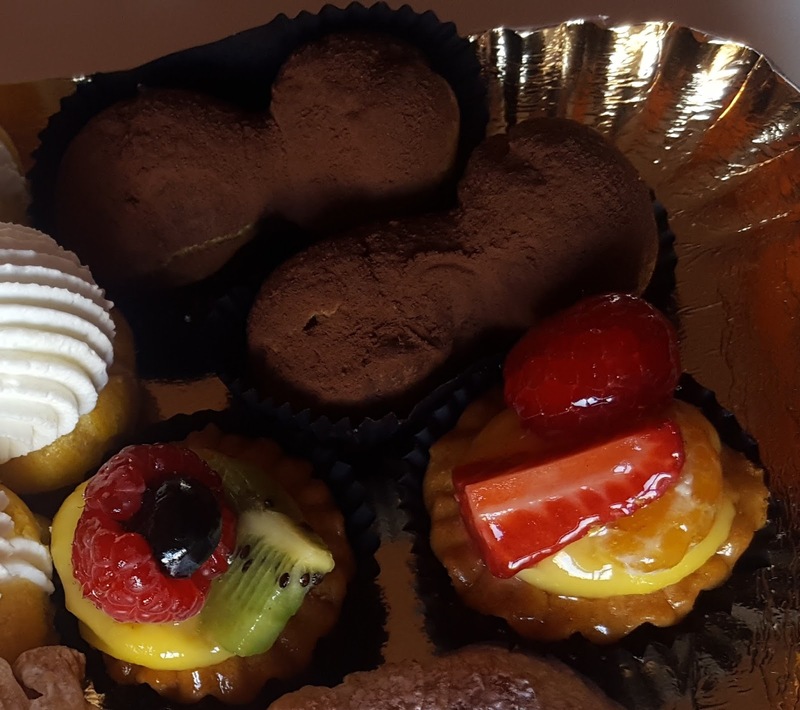 Even if you are already familiar with other Italian regions, you might not know about our funghetti or little chocolate mushrooms: choux pastry mushroom shaped pastries, dusted in high quality cocoa powder. 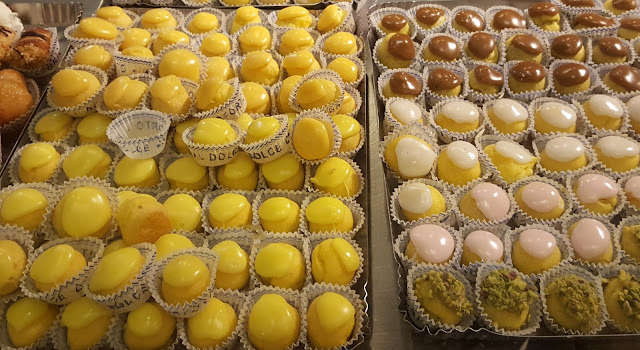 A super traditional pastry type is bignole or tiny cream puffs topped with a colored glaze whose color matches their filling that can basically be all sorts of custards (egg, hazelnut, pistacchio, chocolate, zabajone, rum, you name it). These healthy pastries are real patisserie masterpieces: gorgeous to look at and amazing to savor. Unfortunately their aesthetic perfection makes them hard to select... but hopefully, you can get a new tray of pastries everyday when you are here in Turin. 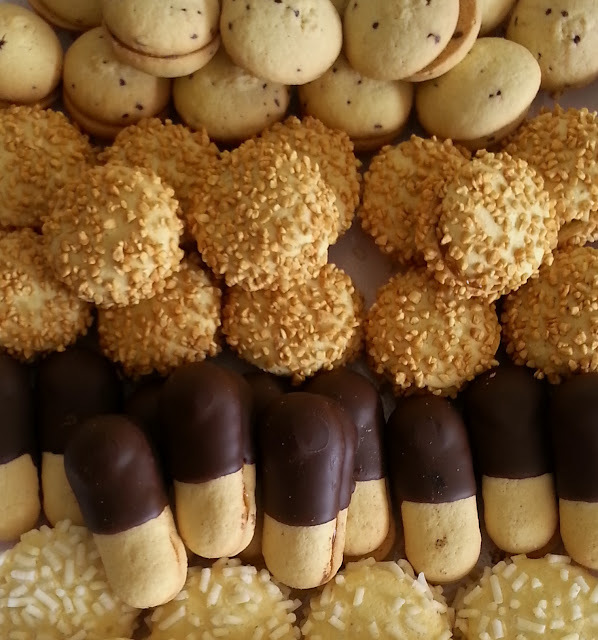 Finally we can't omit the cookies - dry pastries or paste secche in Italian. We extensively wrote about most kinds in our Piedmont cookies section on this blog, yet we still feel the need to remind you to get couple etti aka 2-300 gr whenever you see them. Brutti ma buoni, baci di dama or lady's kisses, torcetti and cornmeal cookies don't need to be refrigerated, pair perfectly with all wines and liquors, gelato, tea, coffee and chocolate! 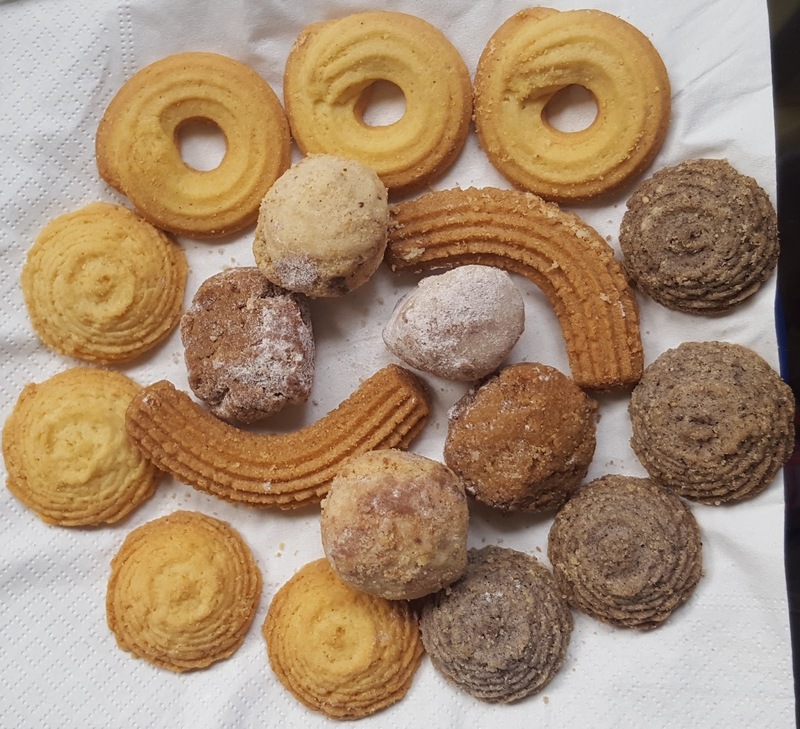 Besides pastry shops, you can also find them in any bakery and sometimes, grocery stores sell industrial versions of some of these cookies too. 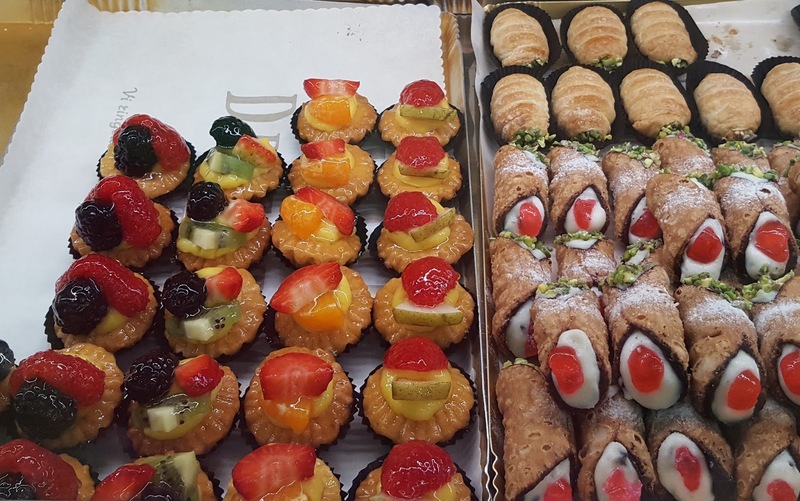 Naturally we recommend you to get a mixed tray of both fresh pastries and cookies to enjoy with a nice glass of chilled wine. 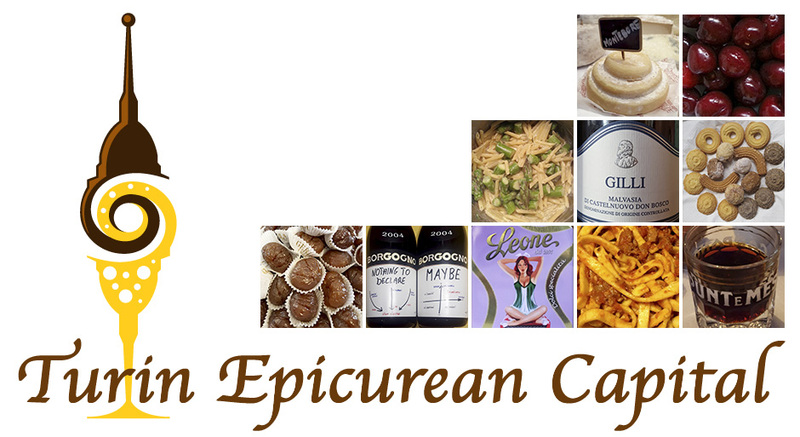 Click here for 5 wines to have during hot weather and here for some bubbly ones.